In this issue: High Sierra 10.13.3: Onsite late cancellation and no-show policies; Ransomware: Should you worry? ; Picking a better face for people Photos recognizes; ; Referrals and recommendations. We had really hoped to recommend the latest High Sierra update, macOS 10.13.3. Historically, it's the ".3" update where we've felt like Apple's achieved a level of stability and squashed enough bugs that we can tell average folks that it's okay to upgrade. Well, not this time around. The ".3" upgrade this time did little more than keep text messages from getting out of order and fix a problem where your Mac might disconnect from a Windows server. So we're still in wait and see mode, hoping that we can recommend the currently-in-beta High Sierra 10.13.4 whenever it appears. That said, if you are not running a secure operating system (macOS 10.10 or earlier), you're better off upgrading to High Sierra anyway, just so your data is protected. Feel free to call us or email us if you need help or clarification. MacAtoZ has updated its policy for onsite appointment cancellations and no-shows, and we wanted to explain the changes. Like everything we do, we want to be a transparent and clear as we can. Onsite appointments cancelled less than 2 hours prior to the scheduled appointment time will be charged half of the 1 hour minimum for onsite services ($66). We understand that sometimes cancelling an appointment late is unavoidable and in the event of emergency, we're likely to make an exception to this policy. It's not like we're going to hand you a bill while you're gurneyed off to the hospital. But late cancellations are definitely a hardship for us. We not only don't get to help you, we also can't quickly turn around and fill the appointment slot to go help somebody else. Hence the above policy. No shows are similarly problematic. Clients who are no shows for scheduled onsite appointments will be charged in full for the 1 hour minimum for onsite services ($132). If we arrive for an onsite appointment and you are not there, we will attempt to reach you by phone and by email. If we receive no response within 15 minutes, we will charge your credit card on file the $132. Again, we reserve the right to make exceptions to this policy should there be an emergency. Having said all the above, what's good for the goose is good for the gander: MacAtoZ’s policy for a late cancellation by us is as follows: If you have a scheduled onsite appointment and we have to cancel less than 2 hours prior to the appointment, the first hour of your rescheduled service will be charged at half price. We hope that the above policies make sense and are equitable. The truth is that few people cancel with little notice and almost no one is ever a no show, but we thought it important to articulate these policies as we grow and continue to serve an increasing number of clients. If you have any questions or concerns, please contact us. Let's start by saving you a whole lot of reading: No. That said, malware makes headlines regularly these days, so if you want to be informed about ransomware on the Mac, here you go. What is ransomware? It's a serious type of malware so-called because once it infects your computer, it encrypts all your files and holds them for ransom. If you're not pirating software or using BitTorrent—do you even know what BitTorrent is?—ransomware isn't something to worry about. Sure, it’s likely that malware authors will unleash additional Mac ransomware packages in the future, but the probability of it hitting your Mac is incredibly small. Second, Apple’s XProtect technology takes a more focused approach, checking every new app against a relatively short list of known malware and preventing apps on that list from launching. Make sure to leave the “Install system data files and security updates” checkbox selected in System Preferences > App Store. That ensures that you’ll get XProtect updates. Similarly, install macOS updates and security updates soon after they’re released to make sure you’re protected against newly discovered vulnerabilities that malware could exploit. If you're a Sentinel+ member, we do this for your Mac automatically. The best protection against ransomware is a versioned backup made to a destination that can be accessed only through the backup app, such as an Internet backup service like Backblaze. The beauty of such backups is that you can restore files from before the ransomware encrypted them. This is one reason we say that you should have your "data in three places, one of which is off-site." There are plenty of things to worry about in this world. 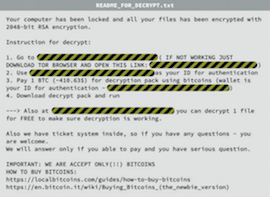 Happily, ransomware on your Mac isn't one of them. Apple’s Photos app is remarkably good at identifying people in your snapshots and collecting all the pictures that contain a particular person into a group in its People view. At its top level, the People view shows a thumbnail photo for each person, picking one automatically from all the available photos. Needless to say, it doesn’t always pick the photo you want, so if you dislike what’s there, you can change it easily on the Mac. In Photos, click People in the sidebar and double-click the thumbnail of the person you want to change. If necessary, click Show More to see all their photos, then Control-click the desired photo and choose Make Key Photo from the contextual menu. As many of you know, we continue to improve our Sentinel monitoring and Sentinel+ maintenance & security systems. Frequently, these changes are behind the scenes, and as the end user you're simply the beneficiary of the improvements without ever knowing it. In our most recent 6.6.2 update, we've improved the way that the Sentinel+ maintenance runs are reported into monitoring and we've added a raft of additional malware definitions so that we can continue to keep your Mac(s) safe. The 6.6.2 update has automatically been installed for Sentinel and Sentinel+ folks—there's nothing you need to do except remain secure in the knowledge that we continue to make our best efforts to monitor, maintenance, and secure your Mac and its data. If you're not yet in Sentinel and would like to know more about it, please call or email us or visit our Sentinel page at www.macatoz.com/sentinel. We are making progress on our 2018 goal of adding another Apple technician so that we can serve you faster. We're trying to get the word out about our company and the services we offer, and we could use your help. If you know of anyone who's a Mac user or considering becoming a Mac user, we'd appreciate it if you'd pass along our name and contact info. Another way to help us is to write us a testimonial. If you've enjoyed your experience with us, be it onsite, remote, or through Sentinel, we'd love to have a statement from you saying so (send to stephanie@macatoz.com). We'd love to feature your words on our web site or other outreach materials. Thank you! If we're unavailable, please leave a message and we will return your call by the end of the next business day. This automatically enters your issue into our Help Desk system. MacAtoZ LLC provides technical support, upgrade, installation, networking, training and tutoring, web design and hosting, and remote support services for Apple products like Macintosh computers, iPhones, iPods, and iPads. Ty Davison and Dyneé Medlock, our Apple technicians, are the only Apple-certified, Apple Consultants Network members serving both residential and small business clients in Oregon's mid-Willamette Valley. MacAtoZ has been providing computer services for clients in the Salem area since 2006 (and since 1999 as SiteRev.com). Our technicians are certified by Apple and carry $1 million in business liability insurance. We frequently present and are well-known at the Salem Macintosh Users Group (SMUG). You can count on us. Our Sentinel and Sentinel+ services offer home users 24/7 Macintosh monitoring, maintenance, and security. Join today! MacAtoZ LLC: The main company web site. You can find information about products and services as well as advice here. Amazon via MacAtoZ: Shop at Amazon via our referral link. Help us to help you. Offsite Backup: You should have one, and we recommend Backblaze. Only $5 a month for unlimited data. Get your 15-day free trial here. Salem Mac Users Group: Salem, Oregon-area Macintosh and Apple gear enthusiasts. Meets monthly. Visitors welcome! Apple Consultants Network: If you need help, entrust your computer and your data to professionals. © 2018 by MacAtoZ LLC. All rights reserved.